MSP company executives and owners far and wide share a similar concern: finding a way to keep the best staff members onboard. It seems like the best employees always leave while the average ones stick around for years or even decades. Employees are changing jobs without hesitation as the employment market is blazing hot. Those who head businesses are challenged with determining how to keep the best of the best employed. In some cases, employees are simply looking for a few minor improvements. After all, no one looks forward to learning a brand new job, memorizing new names and titles, dealing with a different daily commute and the other stresses of changing jobs. Do not hesitate to ask employees what they would like in terms of perks, benefits, and positive reinforcement for a job well done. As an example, doing something a simple as upgrading the brand of coffee available in the office is a minor improvement that will please your employees. Provide positive reinforcement to those who succeed. This is not to say the workplace should be completely gamified and uber-competitive. Rather, employees who are provided with the prospect of some sort of bonus for a job well done are more likely to give their all at work. Some employees are looking for more than financial compensation. A considerable portion of millennial employees favor work-life balance, vacation, paid time off, tuition reimbursement, assistance with student loans and other alternative forms of assistance aside from a salary or hourly wage. If your MSP company provides such creative forms of compensation, your valuable team members will likely be quite happy. Some employees are more interested in being promoted than earning a massive pay raise. The status of a better title and/or the use of an office as opposed to a cubicle might matter just as much as money to some. Provide every employee with hope for advancement within the organization, and they will be inclined to stick around for at least a couple years to see if the promise is fulfilled. Continue to monitor employee performance, provide opportunities for promotions, and your employees really will want to stay for years or even decades. If you lose enough rainmaker employees, your company will be at a significant competitive disadvantage. You will undoubtedly be tempted to minimize employee perks, raises, and benefits in an attempt to save money. 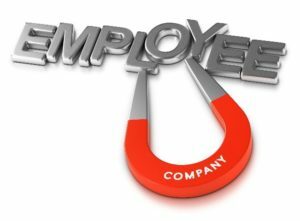 However, penny-pinching with employee compensation has the potential to send valued employees to the competition for higher salaries, better benefits and a chance at a promotion. Spend a reasonable amount of money to retain your top talent; it will prove mutually beneficial to your MSP company, as well as your valued team members. Your MSP Company Must Remember that Feedback is Not Meaningless!